Hoang ThinhDat Corporation (Hoang Thinh Dat Corp) was established on March 5, 2004, under Business Certificate No.0101513696 issued by Hanoi Department of Planning and Investment, headquartered at 9th Floor, VEAM Tay Ho Building, Lot D, Area D1, Phu Thuong Ward, Tay Ho district, Ha Noi. Currently, HoangThinhDat Corp’s authorized capital is up to 638 billion VND, and total assets account for 900 billion VND. HoangThinhDat Corp has successfully invested and developed a large number of significant projects in a variety of industries such as tourism services, hotel, real estate, industrial zone, hi-tech farming, mining and consulting activities. 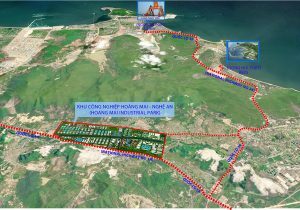 Yen Binh Industrial zone Project with a total area of 693 ha in stage I in which 200 ha had been leased by Samsung to develop Samsung Hi-tech Complex with 6.38 billion USD in investment capital by the time of December 2014. Stage I of the project has been put in operation currently. 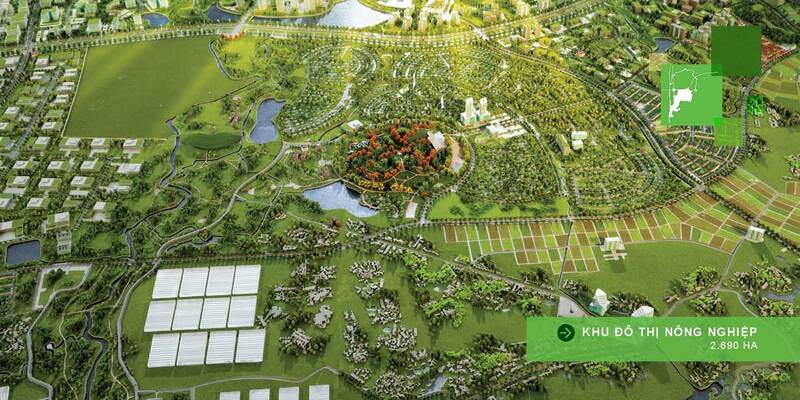 Yen Binh Golf course with a scale of 36 holes (180ha) plans to start construction on QI/2015. Total estimate project’s investment capital is about 50 million USD. 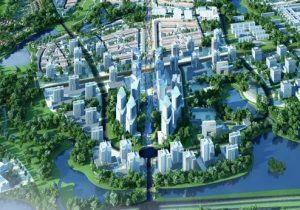 Yen Binh Industrial service urban area stretching over 100ha of land has been planned and developed since Q1/2014 to provide housing and urban services for around 100,000 local working people and residents living within the project area. The Project’s investment capital totals around 70 million USD. Hi-tech tea farming and processing project with scale over 380ha and 535 billion VND of investment capital in total have been started construction since Nov 2014. 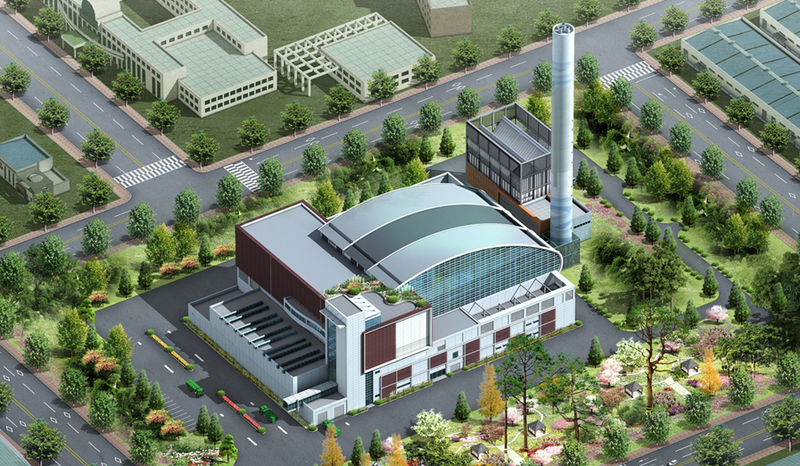 YenBinh Water plant project with a capacity of 300,000 CMD has currently built in Coc Lake area. Phase I with the capacity of 25,000 CMD was completed in July 2015. 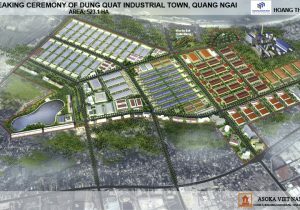 + Dung Quat Industrial Town Project is in progress and belongs to Dung Quat Economic Zone in Binh Son District, Quang Ngai Province. It has a total capital investment of 2,025 billion dong with a scale of 1303 ha. 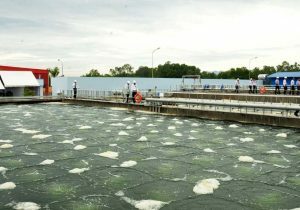 + Hoang Mai Water plant with a scale of 80,000 CMD and estimate capital investment of 950 billion vnd is currently operating in Hoang Mai Commune, Nghe An province. + Coc Lake Eco-Tourism Park is developed by Coc Lake Development and Investment Corporation – a legal entity joint-established by Hoang Thinh Dat Corp and partners. 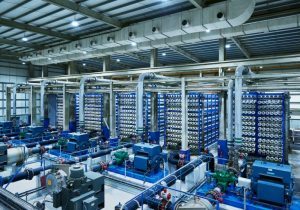 The Project is planed in an area of 2.566 ha (including the water area) of COC LAKE in Pho Yen district, Thai Nguyen province. There are development components such as luxury hotels, private villas, Hotel with 300 luxury rooms providing excellent convenient services, 130 private villas with Vietnamese Northwest culture’s architecture and idea scenic view, entertainment areas and an area for experimental tours. Total capital investment is 2500 billion vnd.